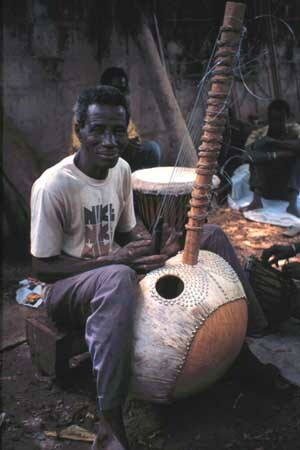 The kora is a 21-string harp-lute used mostly by peoples in West Africa. Kora sheet music (fragment of the score of One Thousand Sources, for solo kora, by Jacques Burtin). Kora (instrument) Facts for Kids. Kiddle Encyclopedia.